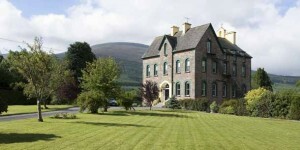 The Knockmealdown Active Group, which promotes the whole Knockmealdown Mountain Region of Tipperary from Ballyporeen to Newcastle, will hold a special promotion evening at the Old Convent Restaurant on Sunday next, July 8th, 2012 at 6.30pm. The promotion is to raise the awareness of the group and what it does as well as being an evening for those who would like to see what the Old Convent is all about. This is a wonderful opportunity to sample the award winning cuisine of Dermot Gannon and his wife Christine in the opulent surroundings of the Old Convent. The cost per person for this excellent evening’s gourmet offerings, including wine, is just €50, so it is an opportunity not to be missed. There are a some tickets still available for the event, but not very many, so if you are interested it would be wise to move quickly. For further information or to book please contact Kevin O’Donnell on 086 354 1700.